Be still my heart! 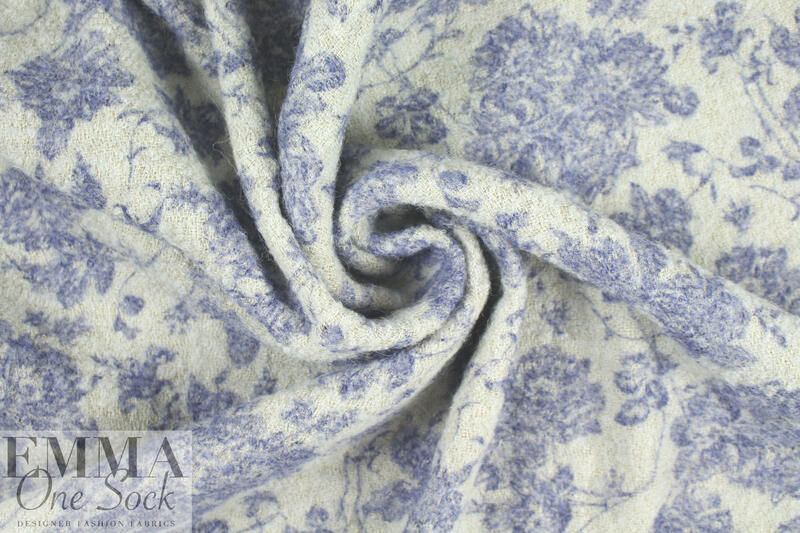 This one is in the OMG category... a toile-printed Italian fancy boucle' in a mix of fibers, with a cozy, fuzzy hand and a 'vintage boho chic' look. The warp yarns are almost string-like hemp in a neutral khaki tone, and the weft yarns are a wooly, loopy boucle' blend in a pale silvery blue. 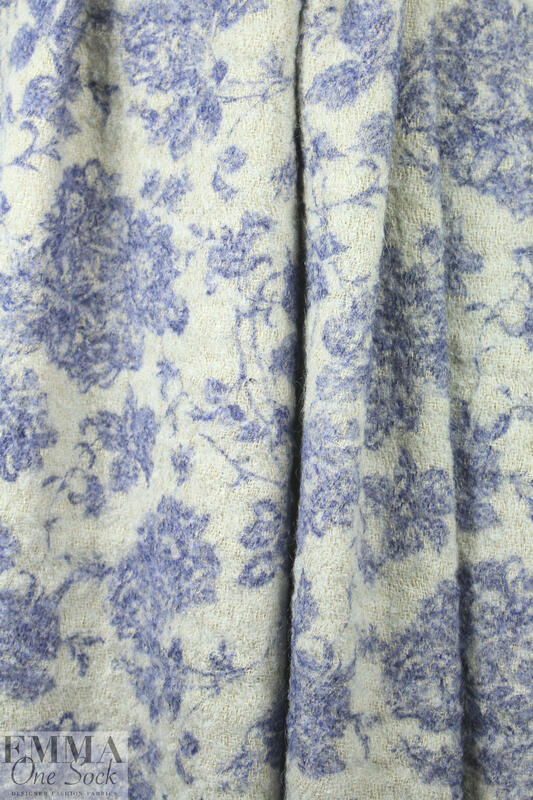 The weave is overprinted with a beautiful toile floral design (12" repeat) and when you open your box you will want to snuggle up with it immediately! 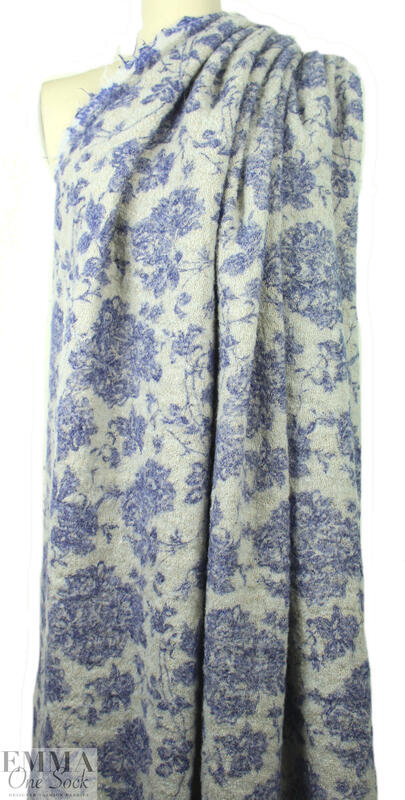 I won't say that it is super soft---but it is super cozy and inviting, the print evoking a wistful nostalgia. 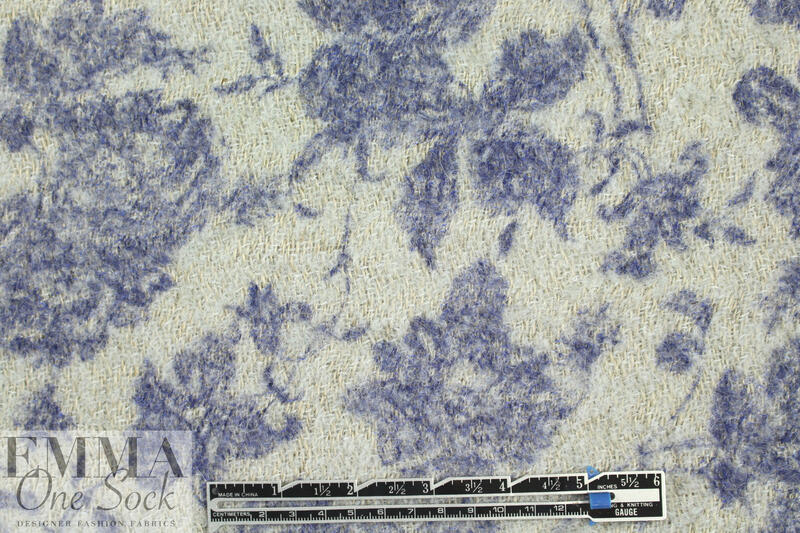 It is medium weight and nearly opaque with a soft drape that has some body, and the texture is just exquisite. The weave is not tight, but the fuzzy yarns obscure and fill up the tiny gaps. 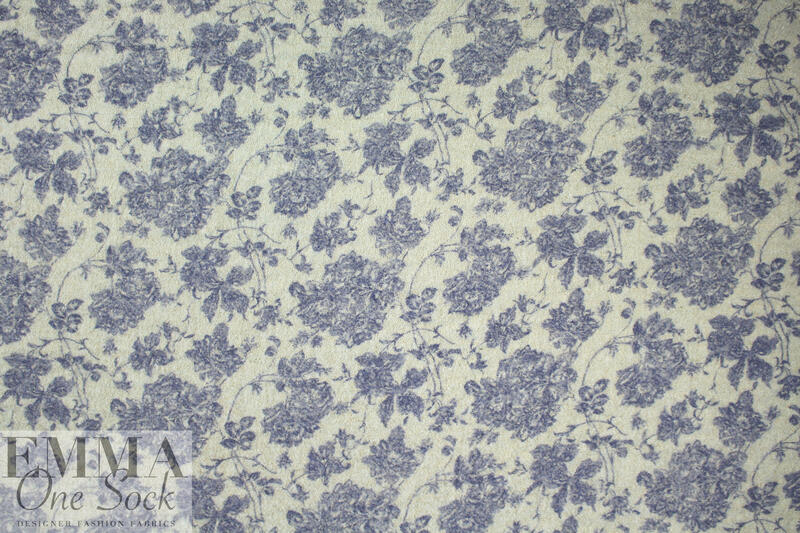 The colors: delft blue, pale silvery blue and light khaki (PANTONE 19-3950, 13-4303, 12-0910). Make a jacket, coat, cape, shawl, etc. Dry cleaning recommended.